Going Through Your Kids Toys! So if you've experienced any or all of the above it's time to get to it. I'd like to submit to you that it's not as hard as you may think. At one point, no matter how many toys I gave away, donated, or tossed I had a sneaking suspicion my kids' toys were breeding when we weren't looking as there was always more to filter through. I'm not suggesting that after you begin to get a handle on your kid's toys that this will stop. Things keep sneaking in BUT you'll be able to identify those enemies with stealth speed and deal with before they take over your newly squeaky clean abode. So enough of my yammering... (must be the lack of sleep talking)...and here we go! - First and foremost... this is your time to grab a cup of coffee and get cozy because step one begins with some thinking. As I mentioned back at the beginning, it's very important to Remember why you're doing this. This goes back to the original reason of why you're minimizing to begin with. Lorilee Lippincott starts her book off with asking the reader to dream of the life they wish to be living. This is my favorite step of all minimizing. So ask yourself, what is the reason you're doing this? What do you want your home to feel like when you're done? What are your lifestyle goals? Do your goals involve play time? Do you want to make art with your kids? Play sports? Do you mind the noisy toys? Do you want your kids to use more toys that make them think? Do you like down time with video games? No matter what your big picture is... get it clear in your head. - Now, it's time to make a list, mental or on paper, of what requirements need to be met to keep an item. These can be just about anything but whatever they are, have them speak to your dream home. Maybe this step seems silly but I think it's important for a couple of reasons: 1. You may find yourself more sentimental than you thought you'd be and it may be hard to let things go. 2. If you have a lot to go through, like I did, you may find yourself tired towards the end and stop caring so you throw it into the "I'll figure it out later" pile. Your list of requirements may look a lot different depending on your preferences but if you're feeling stumped... here are a bunch of "if___ than it goes" suggestions to get the ball rolling. Really, I could keep going here... but hopefully that gets your wheels turning. - Okay. Coffee time over. 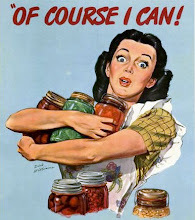 Now it's time to get your hands dirty. Just as we have done before it's time to get your boxes or bags out. One bin for giving away, one for missing pieces (to go through when it's all over and see if you have collected all the pieces), and one for trash. - If you have a toy or game that doesn't meet any requirements for staying in the house but you still can't let it go, be sure to find a home for it. For example... I loved the game "Mouse Trap" as a kid and found a complete game at a tag sale. I bought it but right now most of our kids are too small to play, rather than keep it out for CJ to request we play with a million times a week, I put the box out of sight in the basement for those special times that Hubs or I are willing and able to play with him. Okay... now that you have touched every single toy in your home you have much more control over your belongings than you may realize. When Hubs picks up a toy and says "what's this" I can just about always answer and, better yet, pinpoint exactly where it belongs or where the item it goes to currently is. I also know when a toy doesn't belong to us. One of the very best things that happened to me, in regards to toys, is that, after the first round of clearing out, my kiddos took every toy in our living room out and dumped it on the floor and I DIDN'T CARE! 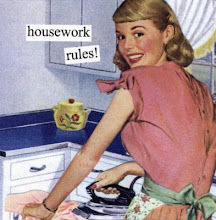 It was all mess that I chose to allow in our home and it was all stuff I didn't mind picking up or it was easy enough for the kids to pick up. It was an AMAZING feeling! I also find that our kids are playing with toys that I like seeing them play with more often. We like thinking toys and we have found that our kids have done more thinking since we cleared away the distracting mess. 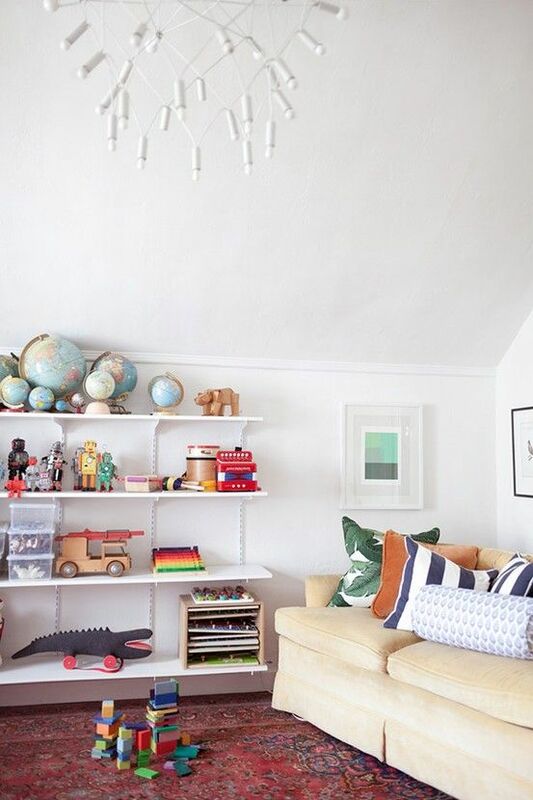 If you'd like to join me in the fight against kid "stuff" I have a handful tips to continue to maintain the clutter that will continue to try to sneak into your home and undo what you've just done. - Treat clutter, especially kid clutter, like the enemy and be proactive about keeping it out. It's easy to let an item slip thinking you'll catch it later but, my remember, my friend... kid stuff hides out and breeds! You can't stop it! If need be, keep your list of requirements handy and look it over often. You can also help by creating a line of defense by the main entrance that you and your family use. Arm it with a bin/bag/basket for donating, one for returning (item's you've borrowed or have been left at your house on accident), and one for trash. When we get home from somewhere I do a quick visual sweep of the car. Any small trinkets, toys, wrappers, unnecessary church papers, or "stuff" that we don't want in your home gets tossed then and there. With these bins in our garage, anything that is in our home that shouldn't be now has a place to go right away. - As I said before deal with all new "stuff" right now. Don't touch things twice. If it needs to be looked over, gone through, or gotten rid of, do it now. Don't waste your time touching it twice. If the time just isn't free, create an obvious, in the way pile, and deal with it as soon as you can. - When it comes to birthdays and gift giving holidays all of this may get awfully sticky. Maybe you're a gift giver and you can't help yourself around certain holidays. For those times I hope you can remember your dream home and what it will take to get you there. Maybe instead of buying several small things, save up for one big thing. Also, there are several suggestions out there like "One you want. One you need. One to wear. One to read." The real trick, though, is not what you buy for your family but what others buy. And for this I can only give ideas because each person is tricky and talking gift giving is very personal and you'll have to navigate those waters one individual at a time. With some family we have made wishlists on Amazon for each family member. I especially like this because if there's something we see for the kids in January, we can add it right away and won't forget it by Christmas time. With other family members we have asked that they stop buying gifts for the kids and start taking them on dates. Just today, my sister-in-law, who is an EMT, took CJ to see the new fire truck that just arrived. He got a personal tour of the trucks and and ambulance and got to see the inside! Then they went out for ice cream. I assure you he will remember that experience for a long time to come! - Occassionally... do the cleaning for them. When the kid has dumped just about every toy out and you know that making them pick it all up will only leads to frustration and tears, volunteer to pick it up yourself. This saves a fight, gets the job done much faster than it would otherwise, gives you a little quiet time, and best of all (for minimizing purposes) you now have the chance to, once again, touch every toy you own and form a bond. That way, you, not your kids, will know when it's time to part ways. I wish you the best on this one. It's a doozy! I'm so thankful I developed a passion for minimalism before there were toys in our lives. 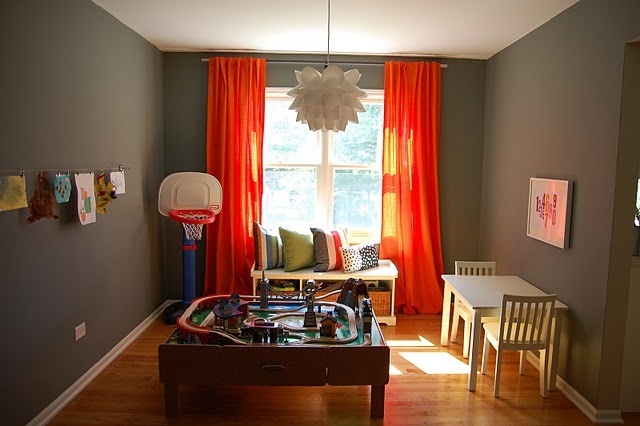 The best way to avoid all the "annoying" toys and toy clutter is simply not to buy them! We have one basket holding our toy "library" and then 5-6 toys set out on the downstairs bookshelf, with 4 or so upstairs in Charlie's room. I know it will be a long battle but I'm starting with my gates high! Doesn't hurt that I've been totally nerding out over Montessori stuff.